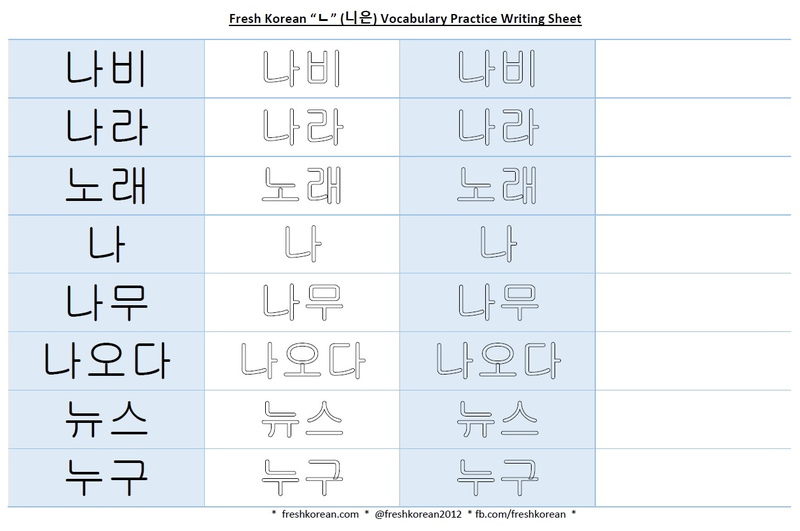 This is the eighth part in our brand new series for 2015 called “Korean Vocabulary Practice Writing Worksheets“. This series focuses on improving two areas vocabulary and writing. Each part looks at one of the 14 Korean consonants and has 8 words. Also all of these words only include a single consonant and are mainly 3 characters or less. This is to help beginners as these words are generally easily to read. 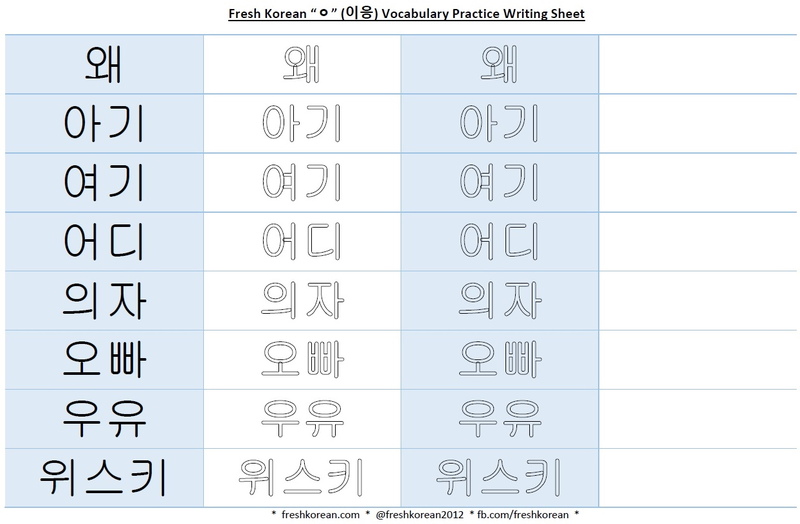 This is the seventh part in our brand new series for 2015 called “Korean Vocabulary Practice Writing Worksheets“. This series focuses on improving two areas vocabulary and writing. Each part looks at one of the 14 Korean consonants and has 8 words. Also all of these words only include a single consonant and are mainly 3 characters or less. This is to help beginners as these words are generally easily to read. 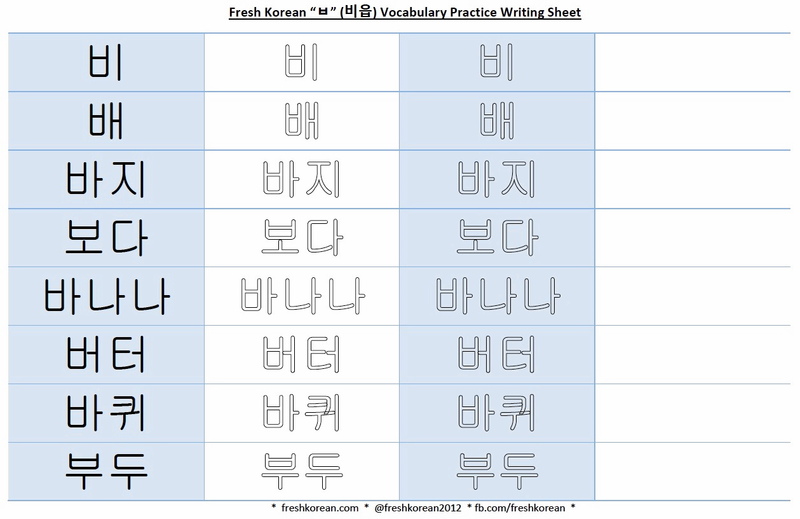 This is the sixth part in our brand new series for 2015 called “Korean Vocabulary Practice Writing Worksheets“. This series focuses on improving two areas vocabulary and writing. Each part looks at one of the 14 Korean consonants and has 8 words. Also all of these words only include a single consonant and are mainly 3 characters or less. This is to help beginners as these words are generally easily to read. 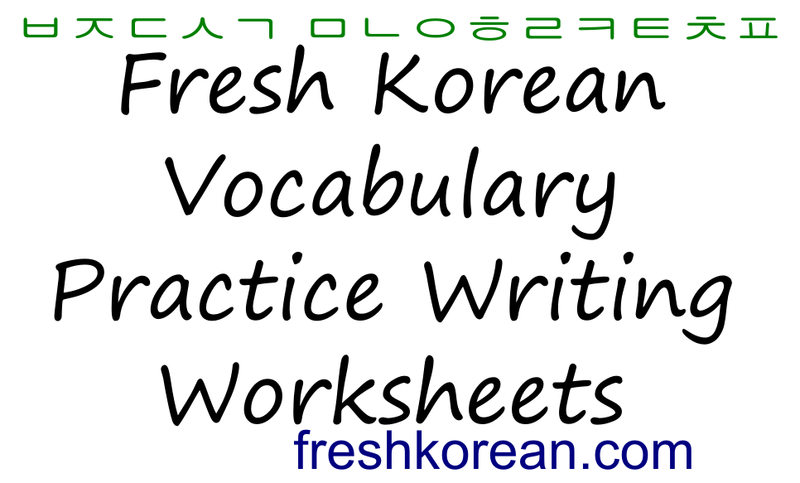 This is the fifth part in our brand new series for 2015 called “Korean Vocabulary Practice Writing Worksheets“. This series focuses on improving two areas vocabulary and writing. Each part looks at one of the 14 Korean consonants and has 8 words. Also all of these words only include a single consonant and are mainly 3 characters or less. This is to help beginners as these words are generally easily to read. 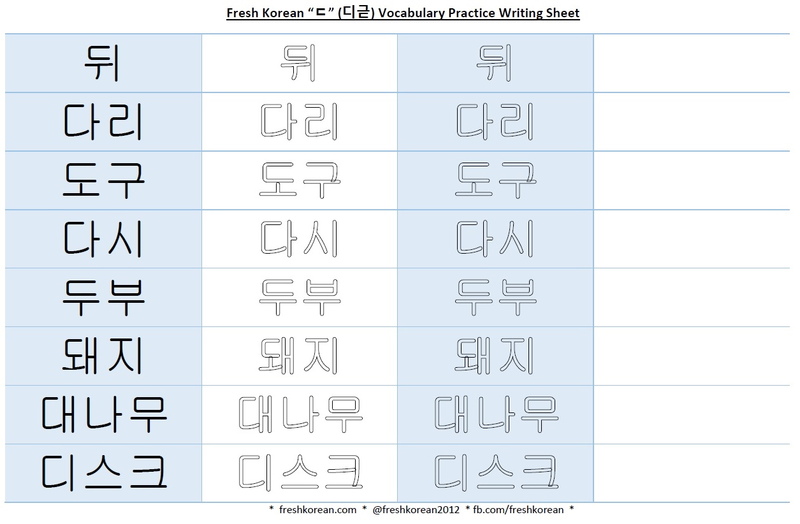 This is the fourth part in our brand new series for 2015 called “Korean Vocabulary Practice Writing Worksheets“. This series focuses on improving two areas vocabulary and writing. Each part looks at one of the 14 Korean consonants and has 8 words. Also all of these words only include a single consonant and are mainly 3 characters or less. This is to help beginners as these words are generally easily to read. This is the third part in our brand new series for 2015 called “Korean Vocabulary Practice Writing Worksheets“. This series focuses on improving two areas vocabulary and writing. Each part looks at one of the 14 Korean consonants and has 8 words. Also all of these words only include a single consonant and are mainly 3 characters or less. This is to help beginners as these words are generally easily to read. For Part 1 in the Series “ㄱ” CLICK HERE or Part 2 “ㄴ” please CLICK HERE. 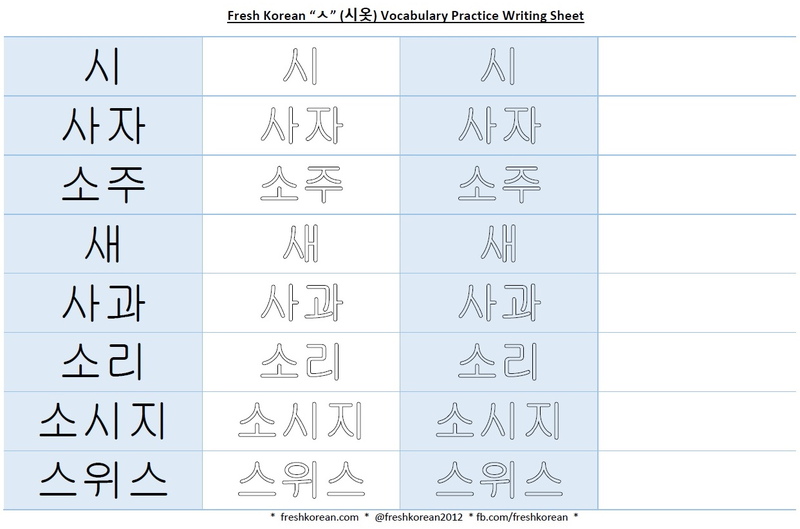 This is the second in our brand new series for 2015 called “Korean Vocabulary Practice Writing Worksheets“. This series focuses on improving two areas vocabulary and writing. Each part looks at one of the 14 Korean consonants and has 8 words. Also all of these words only include a single consonant and are mainly 3 characters or less. This is to help beginners as these words are generally easily to read.